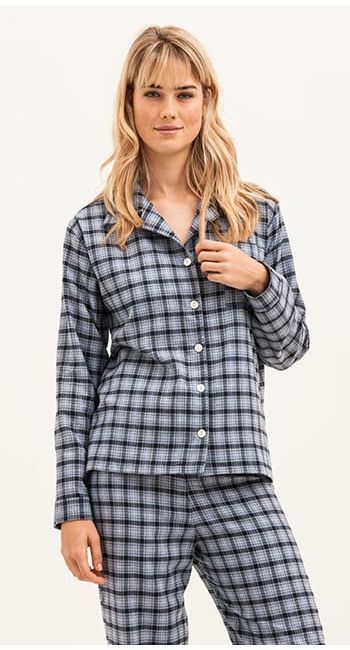 Introducing the most luxurious addition to our brushed cotton pyjamas. This stunning fabric is predominantly made from cotton but has a small amount of wool in the weave making it extra soft and warm. Alternatively, if blue is more your colour, you may be interested in the Ardle Blue version. You can also find both fabrics in our dressing gown collection. Made in Britain and finished with real shell buttons. Complete the look with a pair of our cosy alpaca bed socks.